The most popular hiking memoirs (print, online or eBook) today have a certain style that is apparently popular. 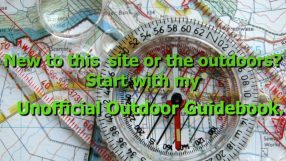 It is not enough to walk a well maintained trail with ample resources such as good books, maps, electronic apps, and other resources. Or merely immerse yourself in the beauty of the mountains, canyons and woods for days or even weeks on end. No. The journeys must reflect the struggle. How hard it is. The challenge. The hunger. The cold. The heat. The plagues of locust apparently. Apparently, backpacking trips are a bit like The Road now? Maybe every outdoor journey really is an epic. Perhaps I am not just seeing this aspect of being outdoors? So, I am going to make an attempt at this type of EPIC ADVENTURE. Maybe I’ll see it is not enough to enjoy the outdoors…but I need to make my own epic journey of self? It was a chill Fall day. A day that portends the kind of adventure I would face. Solo, the world would be cruel. But I am strong. I will face the challenges the trail will send my way. I will conquer the trail. I hoisted my pack on my shoulders. The nylon material seemed as part of my body as an arm or leg. It was a constant companion on my journeys. As I walked through the leaf strewn trail, I thought of the desolation I was walking through. The beautiful leaves now decaying on the ground. Fleeting joy and beauty a few weeks ago. Now gone. I continued to walk the trail. The hard climb challenged me. My muscles strained as I reached the ridge. The sweat on my shirt reminded me of the upcoming chill of the coming winter. The rocks poked and prodded. The branches brushed against me. I came into a clearing. The warm sun brought forth new life. I was one with the Earth. I walked off-trail along the ridge. The ridge led forth into the distance. Much like the journey I was taking. One step at a time I would reach the summit. One step at a time I would complete the journey. The summit view was before me. I could see far into the distance. I could see places I would go in the days to come. I could see potential. A potential in my own life as well as the journey. I stoically gaze off into the distance. I continued on. Met up with the trail again. I walked to a junction. The junction was merely marked as trails rather than THE TRAIL. Which one was THE trail? Much like my life, a decision had to be made. Which path to follow? The path where I would triumph in victory over the trail? Or the path that would lead to the wrong way and hardship? I pulled out my map. I pulled out my compass. I pulled out my databook. I pulled out my guidebook. I pulled out my iPhone. I pulled out my GPS. I struggled with a 3G connection and tweeted to Hikers for insight. I barely had enough bandwidth to post a selfie with the junction. I rejoice. I found my sign. Soon I made the decision which path to follow. I followed the path of my salvation. I followed the correct trail. I was back on The Trail. Camp was made. It was cold that night. In the vast wilderness I was alone. Only the skills I’ve learned over thousands of miles of hiking kept me warm. Fed. Safe. Alive. I woke up. I had triumphed over the dark and cruel night. I was down to merely oatmeal, Nido, dried fruit and nuts for the five-mile hike to the trailhead. My hunger was intense. The stomach was growling for attention. Would I be able to complete the journey? I made it to the road. I had left the wilderness. I am independent. Self contained. Strong. Independent Man -(Providence, RI statehouse). From RI NPR. A true representation of my soaring spirit. I managed to get a 4G connection. Wonder how my GoFundMe campaign is doing? UPDATE: And this New York Times article that came out today (11/6/) seems rather apropos! ← Previous Previous post: Cotton kills? I love it! Great, EPIC work Paul Mags! Well… you know my perspective – it’s just walking. As Chesterton observed, adventures are called inconveniences when you’re having them. If you try to have an adventure, you’re doing it wrong. It’s the mistakes that make the best tales of the trail. When you’re on a bar stool afterward. I think real life without the hype is too boring for many people. Reality shows make a walk to the mailbox a life threatening experience. I guess that’s what sells. Epic is the most misused and overused word in social media. Or, maybe just going for a walk is good enough.. ha. I am very addicted to coffee. But, that makes for some less-than-interesting reading I suspect. Let me try? Friends have asked me to write a book about my hikes and adventures, but I think it would bore them to sleep within a few pages. I think you just have to get out there on the trail and see if it’s for you. I love being out on the trail in the outdoors. Enough said. Bravo, Mags. You made me laugh a bunch first thing in the morning…a great way to start the day. You truly have a gift for writing. Maybe a monthly gag trail report is in the works. After reading too many of these stories and thinking about my own hikes, I have often thought what the hell would I write about and concluded that no one would give a s#*t about what I would have to say and it’s none of their damn business! Hey Mags, you know someone once told me they ham it up to get things…$$$, shoes, a computer…etc. It’s a scam! And also, this way of writing gets you FAME! 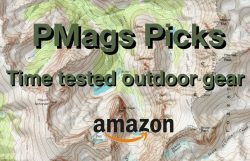 Because readers that don’t hike think we’re doing the impossible! Now I’m hungry. I had to google Bread and Circuses. You see it in many movies (Star Wars, Lord of the Rings, The Matrix, etc) and books (The Hunger Games, The Odyssey, Harry Potter, etc). It’s compelling to us as readers/watchers because we can follow along with the main character as they leave their regular life, which we can relate to and is familiar to us, and venture out into the unknown, overcoming challenges and eventually returning forever changed. It’s also what many people experience on their first long-distance hike (when everything IS hard and epic and new). 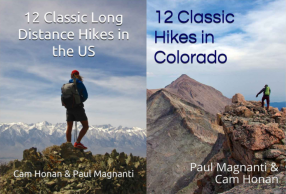 Once one is an experienced long-distance hiker, however, the act of hiking becomes “regular” and It might become difficult to understand peoples’ interest in these kinds of stories. But the majority of people in the western world are still unable to leave their lives for long periods of time to walk through the wilderness (or go on epic quests of any sort), and so these stories will always have appeal/serve an important role in the collective mythology, providing a means of vicarious escape for those who cannot get out and adventure themselves. And as far as crowdfunding one’s hike- crowdfunding is a way to provide advance funding for a product that will eventually exist (a book, documentary, poop trowel, hoodie, etc) and it is also almost brutally fair. If a crowdfund is successful, it means that people believe in the product and want it to exist, and so they help to make it so. In the end they receive the actual product. This is a fair exchange of money for an actual product, and there is nothing shady about it. If a crowdfund campaign is asking for funds but offers nothing of value in exchange, it will fail. Thanks for the input! I am well aware of Joseph Campbell. Just most of this genre is not done well to *my* taste. Over dramatized is not epic..it is bad literature I think. Sure as hell most of them ain’t the Odyssey or Cold Mountain. 🙂 But that is why Baskin Robbins has 31 flavors. We all have our own tastes. Finally, crowdfunding ala kickstarter is a lot different than GoFundMe. I am the proud owner of a locally sold potty trowel after all and help with organizations I believe in. And most of the GFM, on the other hand, I am sorry to say, strikes me as skeevy enterprises. And are you kidding? Cold Mountain was totally over-dramaticized! “I hid in the woods with only a handful of cornmeal to eat. The mysterious goat lady nursed back to health.” Etc. I love that book so much. As for GFM, I think we have our wires crossed. You are discussing market economics. I get it. I really do. However, various reality TV that is “epic” does wonderful too. It is still crap. GFM to fund time off is just begging in a slick new way. I admire the chutzpah. But it it sill panhandling. BTW, I am just a simple outdoors person. My first thru-hike was not particularly epic..but it was a very important part of my life. And I am thankful for that. Walking is simple, and enjoyable and wonderful. I’m glad it was always that way for me. But I was a backpacker before I was a thru-hiker and simply enjoyed being in the woods for an extended period of time.